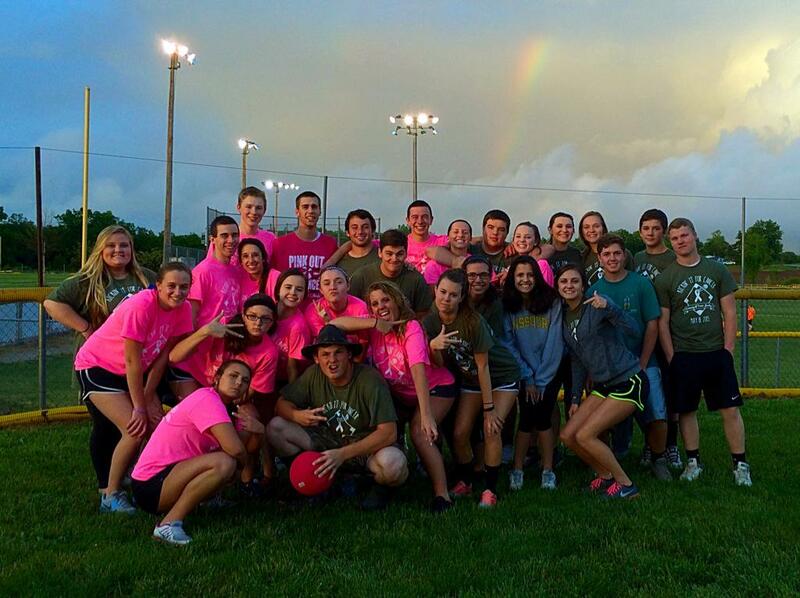 Friends of Kids with Cancer | "Kickin' it for Cancer" Kickball Tournament! On May 8, 2015, about 20 teams participated in the “Kickin’ it for Cancer” Kickball Tournament at the New Melle Sports & Rec Center to raise money for Friends of Kids with Cancer! The 2015 New Melle Festival Queen Pageant Candidates planned the tournament in memory of Darby Joerling’s twin brother, Trevor. Darby, one of the queen candidates witnessed how Friends of Kids with Cancer helped her brother and their family during his treatment with cancer. Unfortunately, Trevor lost his battle not quite a year ago. The Joerling’s wanted to give back to help other patients while honoring Trevor’s vivacious spirit. The support of their family, friends and community created a fun evening of kickball raising $2,300 to help kids with cancer…be kids!